This Couture Collection tutu is the perfect beginning for many fantasy Halloween costumes! Here are some ideas for making a child or adult Halloween costume using a tutu. 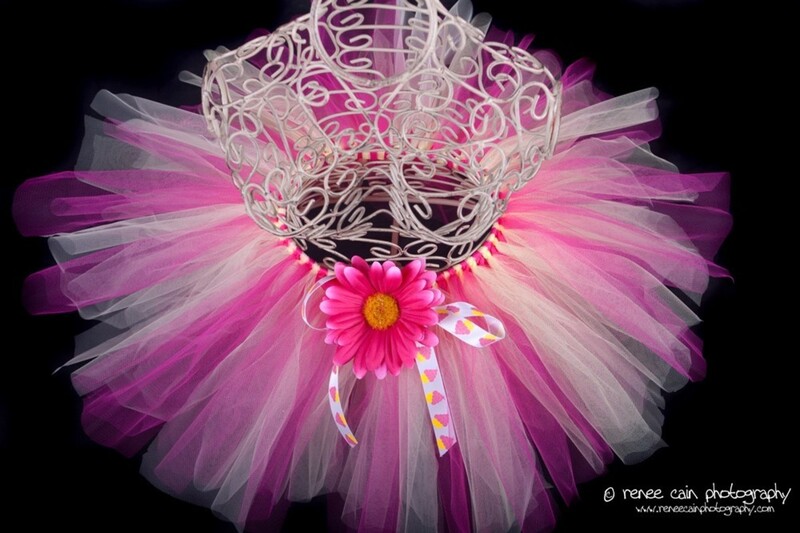 Tutus can be purchased from an online retailer or you can use a tutu you already own. Tutus are short skirts, usually made from many layers of lightweight gauze fabric and gathered at the waist with elastic. Little girls love to wear tutus, whether they dream of becoming a prima ballerina or just enjoy playing dress-up. Tutus have a childlike magic all their own that make them the perfect costume choice for little girls and big girls alike. Tutus come in all sizes, they are a trendy baby wear item, but are just as popular for brides to be. Several sites dedicated to tutu-style wedding gowns show beautiful flowing dresses with layers and layers of gauzy fabric reminiscent of 17th and 18th century styles. You can buy tutus from a variety of specialty retailers and dance supply stores for toddlers up to adults sizes. Chances are, if you are going the more frugal route, that you can also find a spare tutu in your own little girl's closet or in the closet of a friend who has enrolled her children in dance classes. 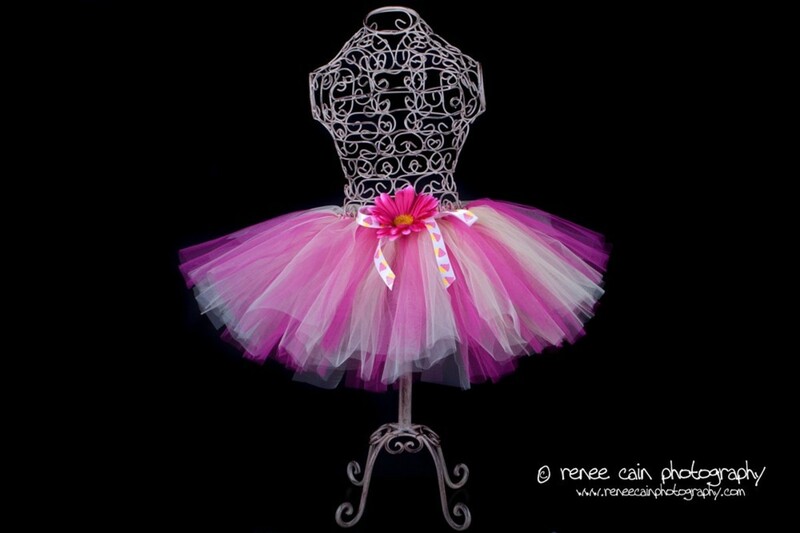 If you are looking for a tutu online, check out the adorable tutus on this web site. Photos used with permission. This fun fairy "sprite" costume is an unusual take on the usual pink and purple fairy costumes out there. Image from amazon.com. Perhaps the easiest costume because it is so flexible, you can assemble a princess costume from almost anything in your closet. You can accessorize a very pretty used dance costume using a wand and a crown from the dollar store or anywhere where children's dress-up items are sold. If you want to use a fancy tiara made from rhinestones, you may be able to find one where prom accessories are sold. If the costume wearer has long hair you can also accessorize with an up-do hair style or an elaborate braided hairdo with rhinestone or pearl-studded combs. Many little girls love to dress up like their parents and wear their mom's makeup. You can make a cone-shaped princess hat with a plume of flowing fabric for a medieval-style princess. Depending on the costume and accessories, Your princess can wear the tutu over or under a longer skirt or fancy dress with flouncy sleeves. A pair of sparkly ballerina -style dress shoes will complete this costume look. One year my daughter transformed a beautiful white, knee-length dance costume that included a gauzy white tutu and matching leotard into a gorgeous fairy costume. One of the enjoyable things about dressing as a fairy is choosing a theme from nature to play with. You can be simple or elaborate with fairy costumes, drawing from popular fairy books for your inspiration, but this costume doesn't have to cost much. With a little imagination you can be a tree fairy or a water fairy, and you can do a simple costume without makeup for younger children or go all out with face and body makeup transforming your skin into a translucent shade of green, purple, or pink. And don't forget the body glitter! Disney's Pixie Hollow and Barbie Fairytopia can be an additional source of inspiration. All you really need to be a fairy is a pair of wings and a dance costume with a leotard, but you can elaborate on your theme quite a bit with a little imagination. In a pinch, any little girl who has taken ballet classes can easily pull together a ballerina costume using a tutu, leotard, tights, leg warmers, and dance shoes (preferably ballet slippers). If the young person wearing this costume has long hair, do pull it into a tight bun or a french knot, and if you like, add a touch of lip gloss and powder from mom's makeup drawer. The ballerina costume can be a humorous spoof for a cross-dressing teenaged boy, particularly one who is thin and hairy, and who has well-developed calf muscles. An angel costume is easy to assemble using much of the same attire as for the ballerina or the fairy costume. Your angel can wear a wire halo wrapped in silver or gold tinsel, feathered wings, and open-toed sandals. 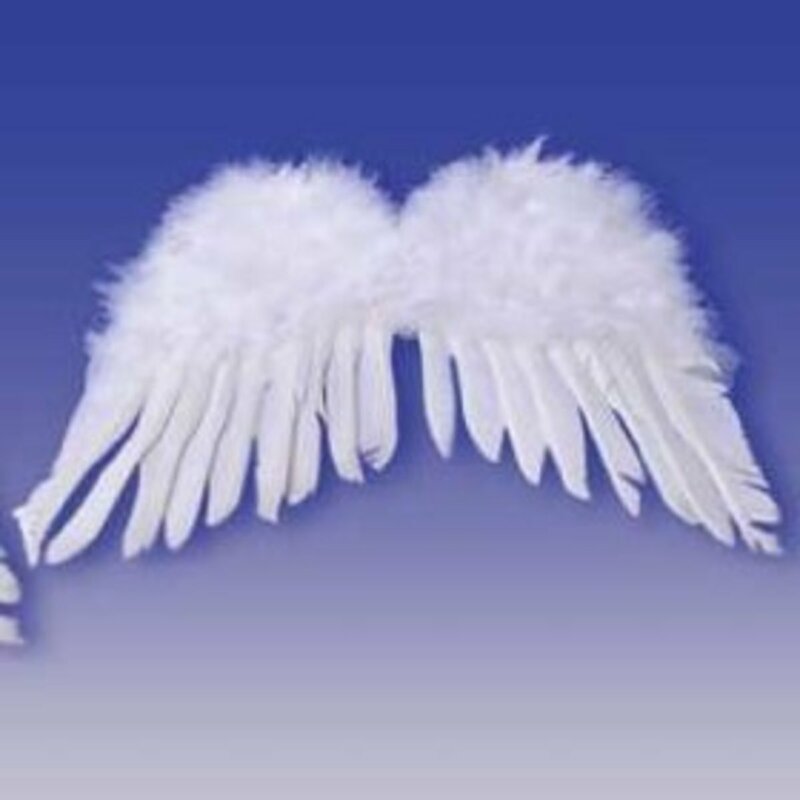 Angel wings can transform a tutu wearer into an angel, a swan, or even a flying pig! A pig snout and wings can be a hilarious addition to an otherwise fancy pink tutu ensemble. Not everyone can be an angel, a princess, or a fairy. But you have other options with your tutu. Witch. 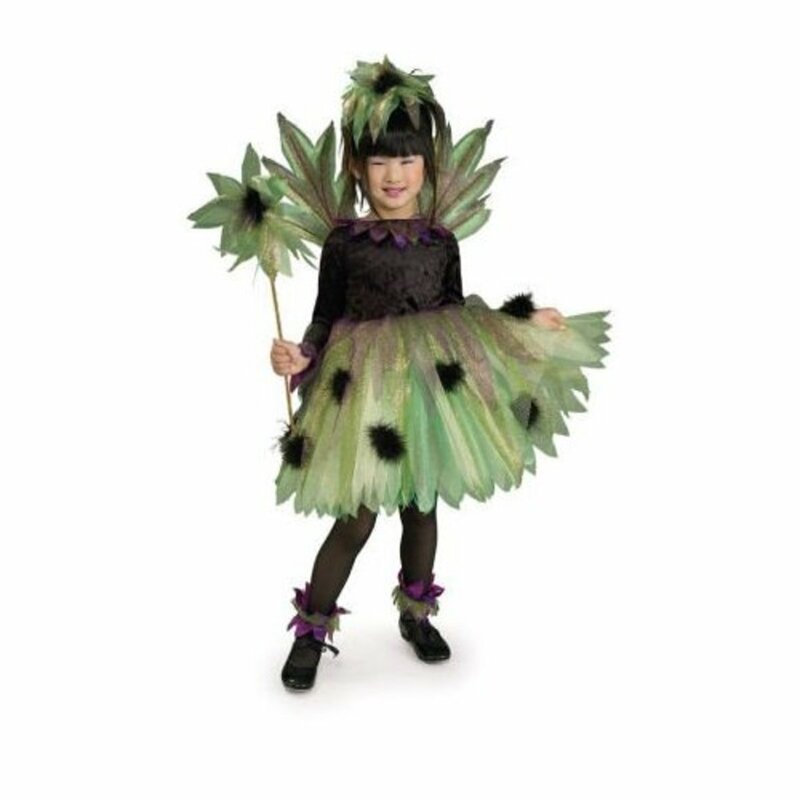 Your little princess may be choose to be a witchy woman instead with black tutu layered with a bright contrasting color such as a vivid purple, lime green, or hot pink. Tutus are an extremely popular choice for children's costumes this year, even for little witches. Flower. Turn an old dance costume into a fanciful flower by topping a tutu with a flower-petal belt and make a fanciful hat into the flower's stamen. 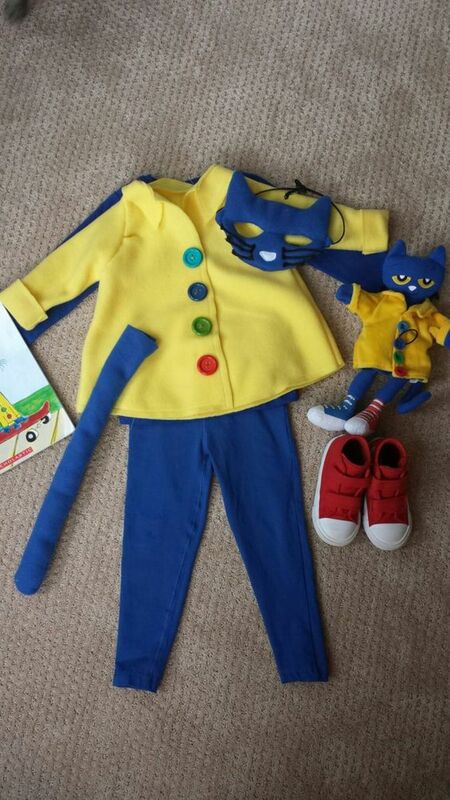 This costume can be individualized in countless ways, by changing colors and shapes. You could even attach a large bee to your costume, either on a hat, or for a more humorous effect, right on your nose. OK, maybe this is a bit obvious, but keep reading. Swan. Make a bill from a yellow sun visor, and feather boa attached to the neckline and arms of an all-white leotard. You can wear yellow or orange tights to suggest bird legs, and a pair of dance shoes, preferably ballet slippers, will help carry off the look. This costume would be suitably paired with a younger sibling dressed as an ugly ducking, or for an adult party, a couple could go as a swan and a hunter, with one partner wearing camouflage hunting attire. Black Swan. With the popularity of the thriller Black Swan, this is another viable tutu costume, preferably for adults, though! 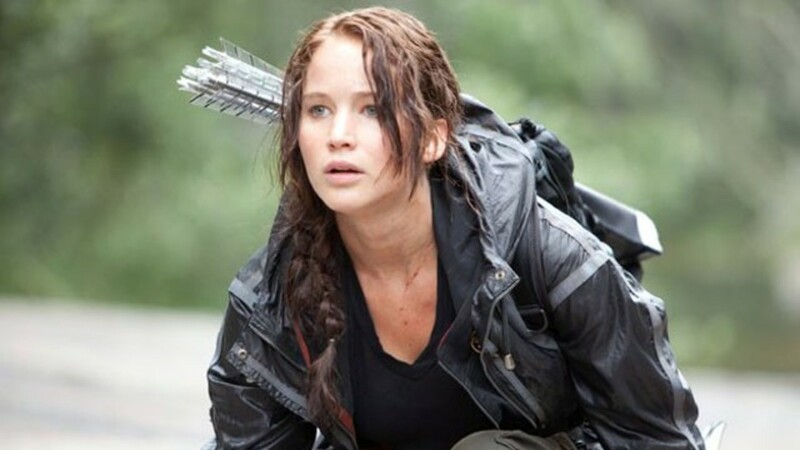 Take your cues from the movie. Flamingo. Pink tutu, pink leotard, and black and white striped leggings. Inspired by Disney's Fantasia. You can again make a beak using a sun visor, and a pink feather boa will give the impression of feathers. Queen of hearts. In this costume, wear a small tutu around the neck in the style of a medieval ruff with a cape, and a long regal-looking dress. Make a sceptre tipped with a large glitter-covered heart from a walking stick or a large dowel. Throw in a silly hat or crown and wear a dour expression. You could hot glue or pin playing cards to the outfit if you like. A turkey. Use a brown tutu and brown feather boa. Cut a bright red waddle from felt. Wear a pair of black and white striped stockings and walk around saying "gobble gobble" if people don't immediate recognize your costume. This would be a humorous costume for a game guy. When pigs fly. This clever costume is silly and easy to pull off, and obvious enough that you shouldn't have to explain yourself to too many people. You'll need a pair of angel's wings and a pig snout, both of which you can easily order online or find at your local costume retailer. Paired with a pink tutu and pink leotard and tights, and a pair of black dance shoes, you will be the hit of the party. Don't forget to attach a piece of tightly wound pink pipe cleaner for a cute little tail. Christmas tree. This is stretching it a bit, but with a green tutu and a strand of battery-operated twinkling white Christmas lights, green hair coloring and green face paint, you can get a head start on Christmas while celebrating Halloween. Do attach plastic ornaments by sewing the looped part to your clothing (note do not use glass bulb ornaments-they will have dangerous and unintended consequences if you sit down). I personally wore this costume to a dance in college. Do not wear this costume if you are uncomfortable being the center of attention. Halloween-themed children's books can help preschoolers prepare for the spooky side of Halloween with plenty of humor. Books about ghosts, witches, bats, and kids in costume make up this reading list for story time presenters, parents, or anyone. Many Pumpkins by Linda White is a delightful children's picture book that deals with realistic themes in a fairy-tale like fashion. Rebecca Estelle doesn't like pumpkins but some are growing in her garden against her will. Thanks Random, most girls have the makings of a tutu in their closet, and these are easily accessorized into quick, simple, and fabulous Halloween costumes. Great suggestions for all of the girlie girls out there! Thanks Blogging Erika, I appreciate that. Next year I'll be doing more costume hubs, my daughter is quite gifted in this area and by then we'll be able to take some great pics. 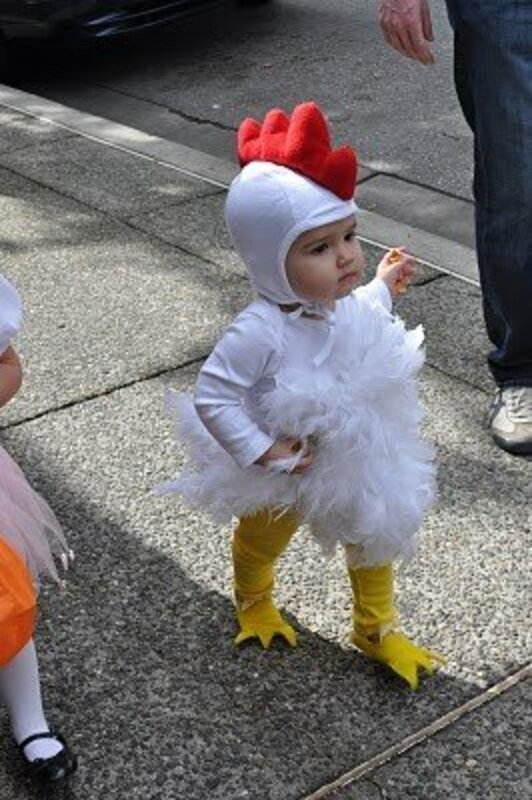 Adorable costume ideas, great work! Thanks Itakins and Hello, hello. I have a very creative daughter who has inspired many many costume ideas. And a friend with a tutu biz, lol!